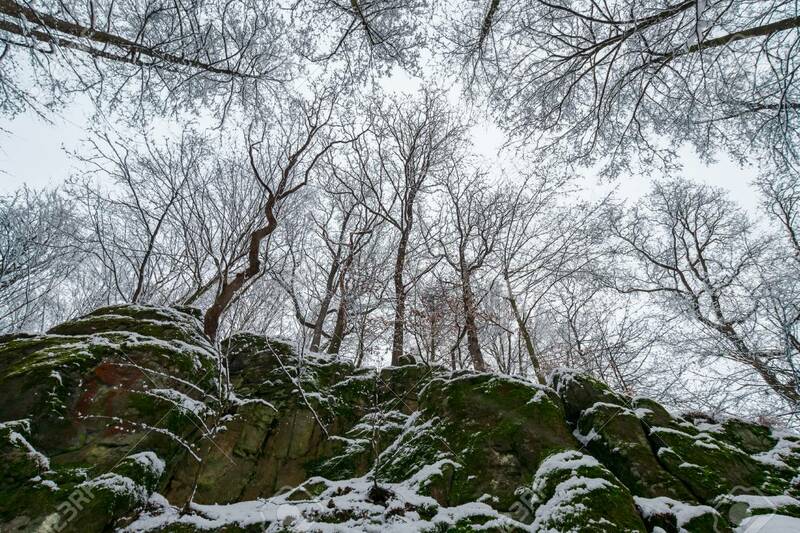 Winter Forest On A Rocky Cliff. View From Below In To The Leafless.. Stock Photo, Picture And Royalty Free Image. Image 111916027.